A national bestseller, Dictionary of the Khazars was cited by The New York Times Book Review as one of the best books of the year. 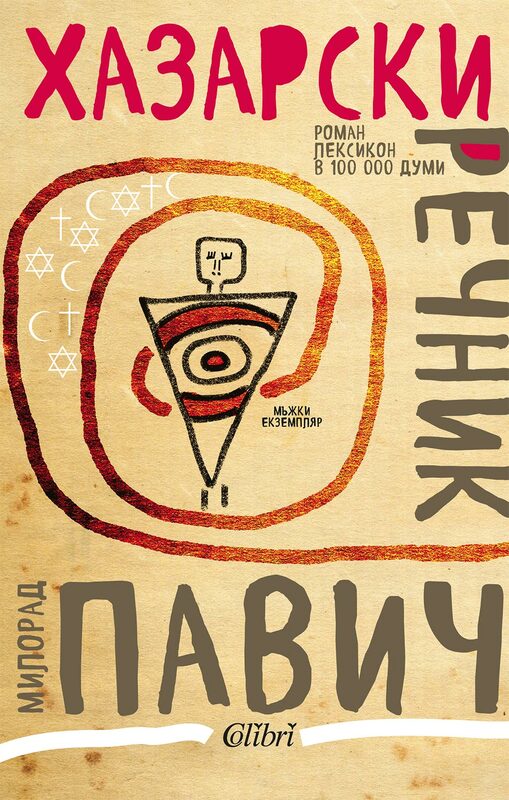 Written in two versions, male and female, which are identical save for seventeen crucial lines, Dictionary is the imaginary book of knowledge of the Khazars, a people who flourished somewhere beyond Transylvania between the seventh and ninth centuries. Eschewing conventional narrative and plot, this lexicon novel combines the dictionaries of the world's three major religions with entries that leap between past and future, featuring three unruly wise men, a book printed in poison ink, suicide by mirrors, a chimerical princess, a sect of priests who can infiltrate one's dreams, romances between the living and the dead, and much more. Milorad Pavić (1929--2009) was a noted Serbian poet, prose writer, translator, and literary historian. A writer who truly succeeded in mystifying the whole world within his magnificent works of art. When it comes to unconventional novel structures and experiments with form, Milorad Pavic is the first name that comes to mind with his meticulously executed and intricately twisted labyrinths of the imagination – his “metanovels”. Some of them take the shape of an encyclopedia, others are crossword puzzles and “Last Love inConstantinople” is a deck of tarot cards. The reader is always invited to determine the beginning and the end of every story, in a vivid interaction with the written text. Milorad Pavic has been nominated for the Nobel Prize for Literature. Though Pavić's novels can be enjoyed by reading them cover-to-cover, among his stated goals is a desire to write novels with unusual forms, and to make the reader a more active participant than usually. In an interview published in 1998, Pavić said, "I have tried my best to eliminate or to destroy the beginning and the end of my novels. The Inner Side of the Wind, for example, has two beginnings. You start reading this book from the side you want. In Dictionary of the Khazars you can start with whatever story you want. But writing it, you have to keep in mind that every entry has to be read before and after every other entry in the book. I managed to avoid, at least until now, the old way of reading, which means reading from the classical beginning to the classical end." He also wrote one play. There are more than 80 translations of his work, into many languages. Milorad Pavić was nominated for the Nobel prize in literature by experts in Europe, the USA and Brazil. In 1991 he was elected as a member of Serbian Academy of Sciences and Arts in the Department of Language and Literature.